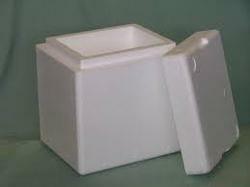 Available with us is a range of Customized EPS Molded Boxes. We supply these boxes in varied sizes and specifications. These are highly acknowledged for the feature like lightness, rigidity, shock absorption property, resistance to moisture. These are widely used in the field of packaging and thermal insulation. With the continuous sincere efforts of our adept professionals, we are manufacturing and supplying to our clients a quality range of EPS Thermocol Box. - Used to store various kinds of goods in safe and efficient manner. We offer in wide range of EPS Thermocol Boxes that are available in various thicknesses and lengths. we supply these boxes in varied sizes and quality. These boxes are used in several sectors like food and vegetable, textile industry and could be even used for domestic purpose. We are a unique entity in the industry, actively committed to manufacturing an optimum quality range of EPS Thermocol Box. Leveraging over the skills of our qualified team of professionals, we are instrumental in offering wide range of Thermocol Fruit Box. 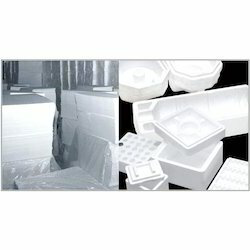 Our company holds immense experience in this domain and is involved in offering wide assortment of EPS Thermocol Box. Inner dimensions 670mm *460mm *405mm.